Following Riythvika, Aishwarya is Going to Dedicate Her Win to Yashika? Another day in Bigg Boss house! 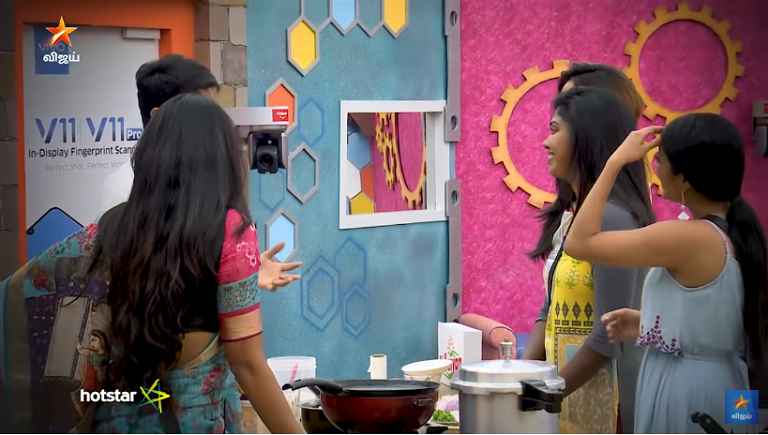 The day started with Viji, Riythvika and Janani discussing how Aishwarya talks to the camera (Bigg Boss) in the middle of the night. "She's taking the competition to a whole new level," said Viji, who was quite stunned with Aishwarya's behaviour. This time both Sendrayan and Mahat entered the house to spend some quality time with the finalists. Senrayan entered first! Obviously, he missed washing the toilet more than the housemates. Instead of hugging them or even talking to them, he opted for washing the toilet which was already clean. After finish cleaning the toilet, he finally expressed, "I'm proud of all of you and you have a bright future outside." Mahat came next and they had few tasks together! "Aishwarya is playing the female lead in Simbu's next movie. 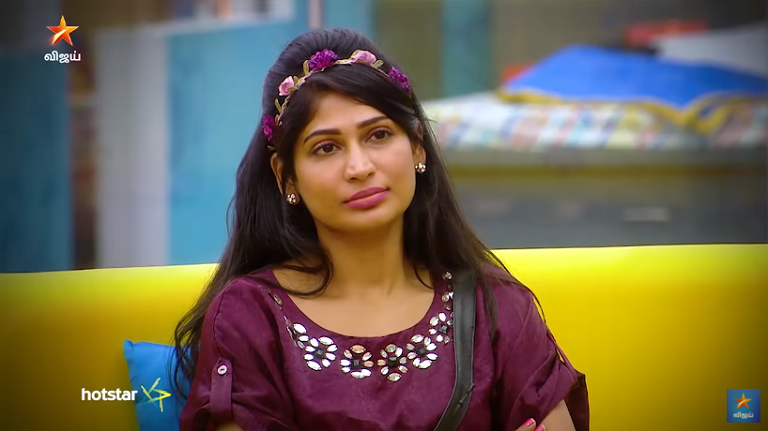 Simbu told me personally," told Senrayan to the housemates. Aishwarya started jumping in joy. As much as we are happy for her, but we can't help but think is this the next strategy to make her win. We all know the bond Simbu shares with Mahat and that they are childhood friends. And we are also aware that Mahat is very close to Aishwarya and she's the only person who managed to survive from the Mahat-Yashika-Shariq-Aishwarya pack. So, is this a stunt pulled by Mahat to help her buddy Aishwarya to win the show? Announcing that Aishwarya is Simbu's partner in his next movie will help Aishwarya to gain more votes from Simbu fans. 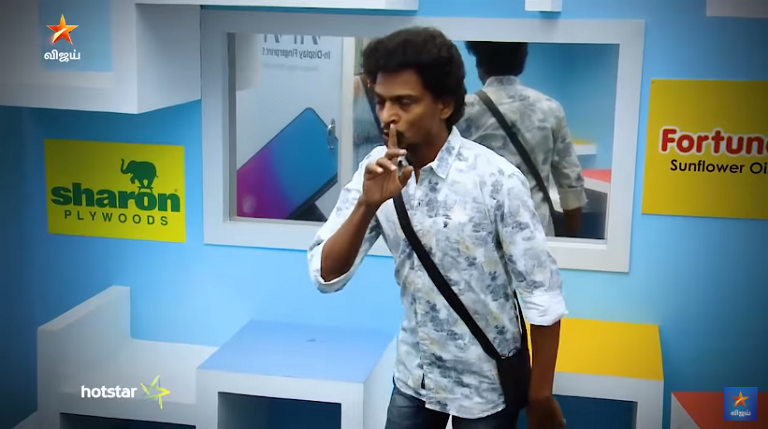 And we are all aware that, earlier Simbu requested his fans to vote for Mahat when he was still in the show. So, looks like Mahat is using the same method to make Aishwarya win the show. Another strategy to win the title! We are aware that Simbu's next movie is Sundar C's remake of Attrantiki Vaanam and Venkat Prabhu's Maanadu. And the heroins for these movies are already finalized earlier. At the end of the show, both Senrayan and Mahat were asked to predict who they want to see win the competition. "I made this decision for a personal reason, but I want Aishwarya to win this," says Mahat. Guess we must wait to find out who will be winning the game! But we know the battle is going to be between Aishwarya and Rhytvika.